In the first and second part of this series we see that many components make up a quality ergonomic chair. The backrest and lumbar support are no exception. Many people experience back pain, and their office chair should be reducing that pain, not contributing to it. However, if you are sitting on a non-ergonomic chair or an ergonomic chair that isn’t adjusted properly it is not supporting you correctly. To ensure the best support for your back, look for a backrest with firm lumbar support built into its structure. Unless you are looking at a chair like the tCentric Hybrid with a stylish mesh back, it might be difficult to see if a chair has quality lumber support. It’s important to ask for a chair with proper lumbar, not just lumbar made of foam, as foam alone cannot provide the force necessary to reposition the lumbar spine back into its natural curvature. Insufficient or lumbar support that is too high or low can lead to lower back pain. Look for a lumbar support that adjusts up and down, as well as in and out, to fit people of different body types. A large range of height adjustment is especially useful for those who carry additional weight in the buttock. This is because they may be elevated higher off their seat then others and need to be able to adjust the lumber upwards. The backrest should be the correct size for the length of your back. The longer the back, the higher the backrest needs to be in order to properly support it. If the user is petite, they may require a shorter backrest to ensure that they are supported properly as well. A backrest must also have lateral curves to support the upper body, and reduce the amount of muscle activity required to keep it in the upright posture. For those who are particularly concerned about their upper and or lower back Air Thoracic and Air Lumbar should be considered. A chair should support its user comfortably, and once the proper seat pan and back support are found, make sure the angle between them is greater than 90 degrees. This will help reduce stress on the structure of the spine. The angle is just one of the smaller elements of the chair that are sometimes ignored, but they shouldn’t be. They are essential to a safe and ergonomic chair. We will discuss these smaller component of your chair in part four of, The Guide to Selecting the Perfect Chair. 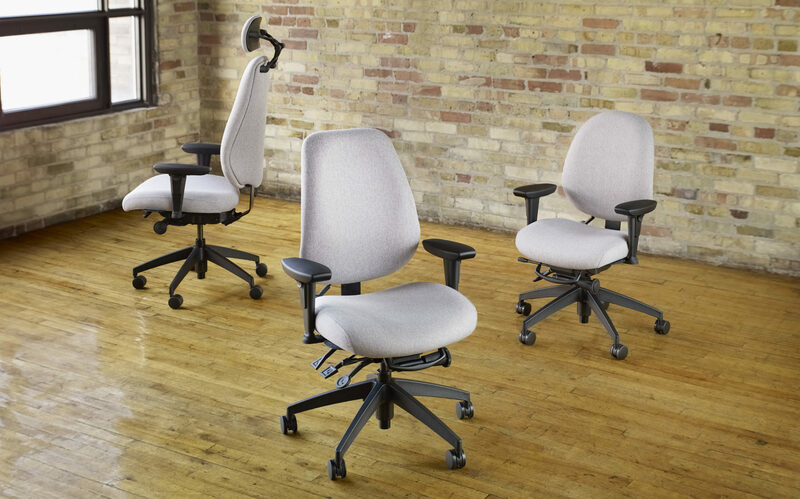 If you have not read part one and two of the series, we recommend you go back and read them to help you make an educated decision about purchasing an office chair. We talk about the importance of quality and adjustability in part one, and then move on to the importance of the seat and its shape in part two.